Terry Trahan guides KSMA Denver and became co-director of KSMA Global with Jay Carstensen in 2011. Having a lifetime of experience with the real aspects of violence and fighting, martial arts became a vehicle for Terry's life. He has a deep love of Southeast Asian martial arts and a love of sharing them and teaching the applications they hold for real confrontations. Just as important, Terry believes knowing what the problem is, from as many angles as possible. As has been said, violence is a big animal, and one size does not fit all. We strive to learn all we can, while keeping the proper prospective. License to Teach Martial Arts from Bobbe Edmonds. 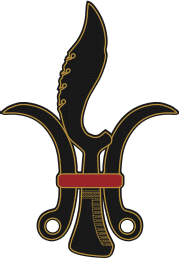 Bobbe also named my art Weasel Craft Apllied Martial Arts, consisting of my training in Pencak Silat, Kali, Pangamot and KunTao. 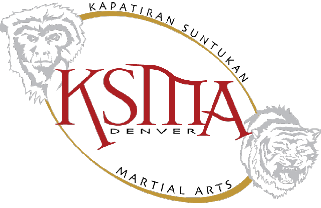 KSMA Denver meets regularly to exchange ideas, train, and explore effective physical movement through the vehicle of Aneh Palu Kali-Silat. Our emphasis is on effective, appropriate self defense and proving our skills through sparring and interactive drills that build over time. 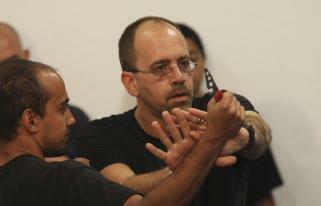 We also concentrate on the mental and legal aspects of self defense. Community is at the core of what we do. We are not just a martial arts group, we share and discuss many interests, and treat each other as family. Breaking bread and contributing to the community is as important as being able to fight. We do not foster a rigid rank structure, instead preferring to let each member give and take as needed. We meet the first three Saturdays of every month either in downtown Denver or in Littleton. Classes are lead by Terry Trahan, and each class will cover a variety of topics. If you are interested in training, we recommend bringing a pair of rattan sticks, at least one training knife and groin protection. Wanna check us out, contact us, and we'll get it started!